I don't know a lot about the world of steampunk but I'm fascinated by it. 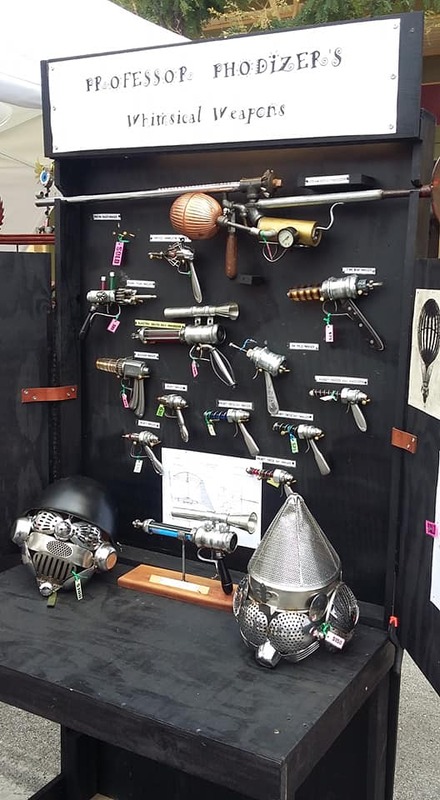 The attire and creativity that goes into steampunk is quite interesting. 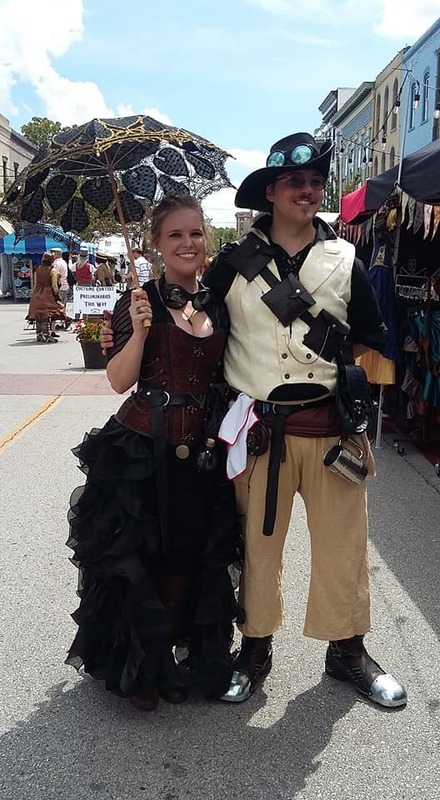 Jason and I attended the annual Steampunk Festival in Hannibal, Missouri for the first time over Labor Day weekend. 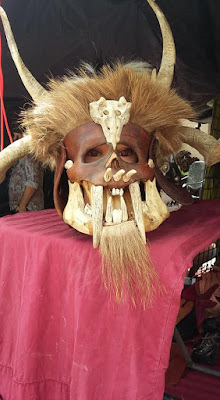 The festival takes place over three days. There are several free things to do, as well as events you can pay for. 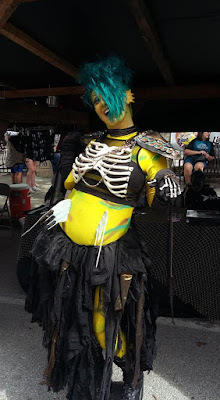 Jason and I just looked around at all the booths set up and saw several people in costume. Jason wasn't too excited about the whole thing so I'll be going again next year, without him. I want to pay for some of the premium events, like the burlesque shows and the tea times. Who knows, I may even dress up in steampunk attire! Have you ever attended a steampunk festival? 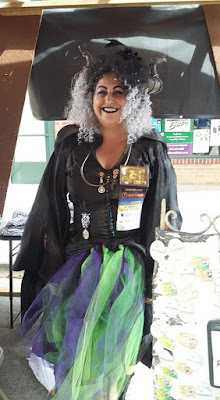 Does the world of steampunk fascinate you?